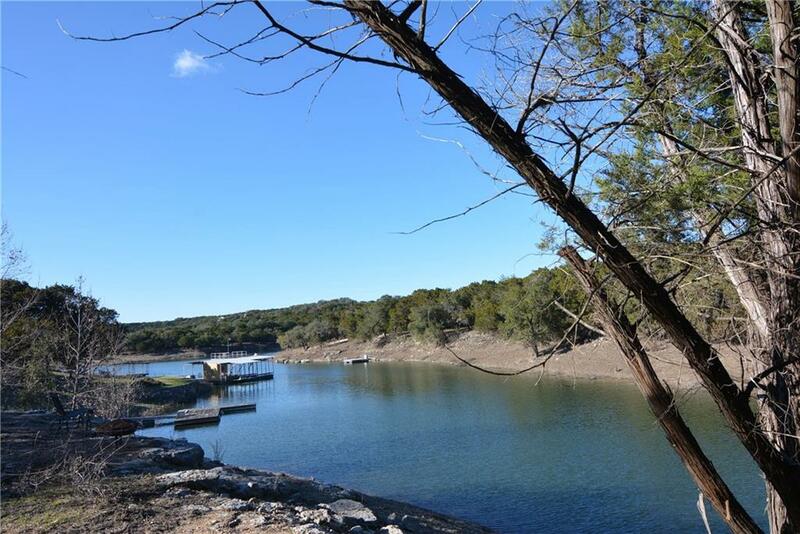 Unique waterfront lot (when lake is full at 681 elevation lot has 10′-12′ of water) on Lake Travis. Does have access to waterfront home owners park directly across street. Bring your lake dream home ideas and begin living the lake lifestyle. All the convenience of the city, but just far enough to enjoy the peace and quiet of country lake living. Min 1,500 sq ft with reasonable build requirements. Lot has 3rd interest in additional lot under the water. Quiet area on Lake Travis. Must see to appreciate. For more information on: what is available to view existing lots and homes for sale 512-267-2773, mobile 512-789-6174 or e-mail mc@mclaketravis.com.